Helping Entrepreneurs, Marketing & Real Estate Professionals GO DIGITAL. 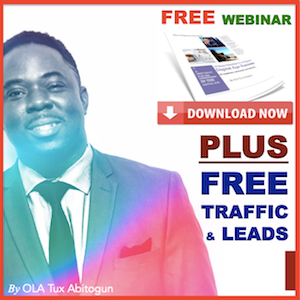 Ola Tux Abitogun is a Digital Marketer, Real Estate Investor, Coach, Trainer, Consultant, Author, Lifetime Student, Online Personalty, Publisher and a Bonafide Serial Entrepreneur…. In this edition, I want to reveal my simple secrets on how to SEO a website yourself. What is SEO? It stands for search engine optimization. SEO is the act of making your online content and/or properties visible to search engines such Google, Yahoo, Bing, YouTube and about 100+ others and making the content relevant to other searchers. So in the digital age, when you and I have a question or a problem, our first go to is Google or YouTube. We type in a seed keyword or phrase and the search produces results. 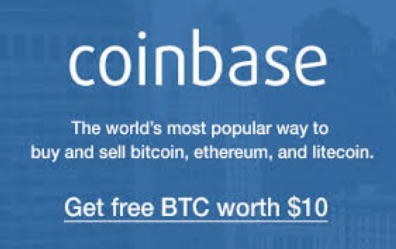 Then you become a visitor to one of the websites in the results. The higher a web page shows in the search results, the more traffic it will receive all for free and the more customers that business can get potentially. So the ultimate goal of SEO or search engine optimization is to rank high in the search engine results. Launching a profitable website is not as simple as a fancy and pretty website design. The website needs to attract visitors and that can be done by paying for advertising or creating content that attract organic traffic from the search engines. There are a few SEO website checker but the best one is webmaster which is created by Google, the God father of all search engines. Google processes about 70% of all search engine market shares. There are about 200 other factors that Google looks at in order to determine the relevance of your content to a search term or phrase and how high it should rank in the search engine results. After creating a piece of content, you need to make it friendly to both humans as well as the search engine robots. The same process is pretty much the same. When humans enjoy your content, they stay on it longer. If it were a YouTube video, they’d watch it much longer. If it were an article, they hangout much longer on the web page. So the average length of time a visitor hangs out on your page is the only way for the robots to know the quality of your content. How do I Add SEO keywords to a website? The simplest way to determine your website SEO score is the presence of your targeted search keyword phrase in the tags of the content. There are typically 3 main tags associated with every online content. Every time you create a piece of content, audio, video or text article, you must be targeting a search term. What term is your target audience searching for on the search engines? This entry was posted in Search Engine Optimization Tips (SEO) and tagged how do i add seo keywords to a website, how to do search engine optimization, how to do seo for a website, how to do seo yourself, how to optimize your website for search engines, how to seo a website, how to seo a website for free, how to start seo for a new website, search engine optimization, search engine optimization google, seo, seo tutorial step by step pdf, seo tutorial step by step with example, seo website checker, seo website design, what is a seo friendly website, what is a website seo score, what is seo on a website on August 2, 2017 by ol1234. © 2005 - 2019 OLATux.com , All rights reserved.